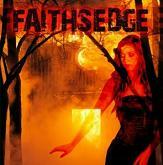 Review: "Faithsedge: Faithsedge" - Sea of Tranquility - The Web Destination for Progressive Music! In early 2009 Giancarlo Floridia founded Faithsedge, enabling him and his fellow band mates to play Heavy Metal/ Hard Rock like they wanted to. Giancarlo himself takes care of the vocals, the other band members are Fabrizio Grossi, who plays the bass, Alex de Rosso handles the guitar parts, and Tony Morra playing drums. All of these guys have a long history in Rock music playing with great artists like Ratt, David Bowie, Scorpions and Alice Cooper. With this self-titled debut album they wish to take their spot in the world of Rock and Roll. A bold step considering many others want to do so, besides them. Through their combined efforts the boys have written and recorded their debut, the album hitting the street very soon or out already as of this writing. Musically the band are not renewing anything in the music scene, yet they do have their own distinct sound even if this is just their debut album together. The ability to create a unique sound probably lays in their own individual music careers. The album consists of 11 high voltage songs ranging from pure hard rock to heavy metal leaning on the door of prgressive metal. There is much going on here, riffing, shredding, pounding bass and drums, and vocal harmonies. The influence of the background of these guys is noticeably present. The music reminds me a lot of Y & T or Ratt or Motley Crue. Accesible but not too apparent at times. The right mix between very heavy and balladry is also present throughout. All in all an album to look out for and and a band to follow- who knows what might come next from them?